As I mentioned in PART ONE (a.k.a. The Breakfast/Brunch/Lunch Edition) I'm continuing on with my Uni themed posts after the great response from my 7 Things To Expect During Freshers post. I am no chef/dietitian/nutritionist/professional in any way, shape or form. These are just a few things I've been cooking recently and like to eat at Uni when I'm in charge of feeding myself every day! This is one of my mums favourites too. Literally all you have to do it whack everything in a baking tray with some oil and seasoning, bake and then you're good to go. For how easy this is it tastes absolutely amazing. Definitely one I'd make it I were ever civilised enough to host a dinner party. I don't eat enough iron rich foods so I decided to buy some beef mince. 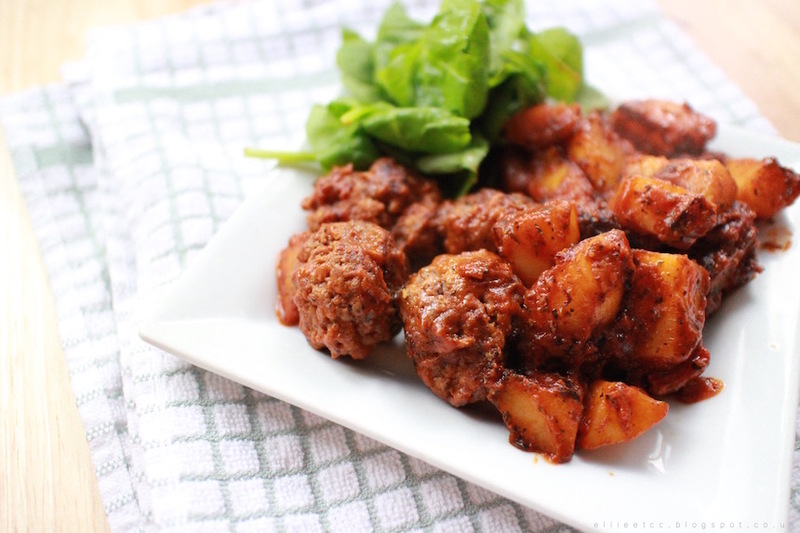 Stuck with what to make I turned to google and discovered how stupidly easy meatballs are to make. (Seriously, look it up). And to make things more interesting I fried potatoes and tomato passata to make a patatas bravas type thing. One of my favourites, so so easy (I'm extremely lazy). I usually just buy stir fry vegetable mix and douse with an adequate helping of soy sauce. Like I said, lazy. 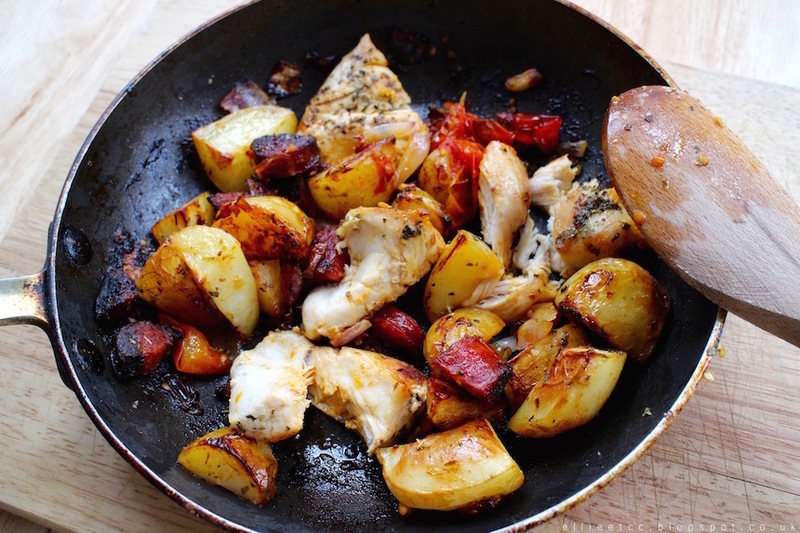 It's a good one to make if your tired or hungover or in a rush because it's so easy and quick. Simple staple food for uni. Stock up! 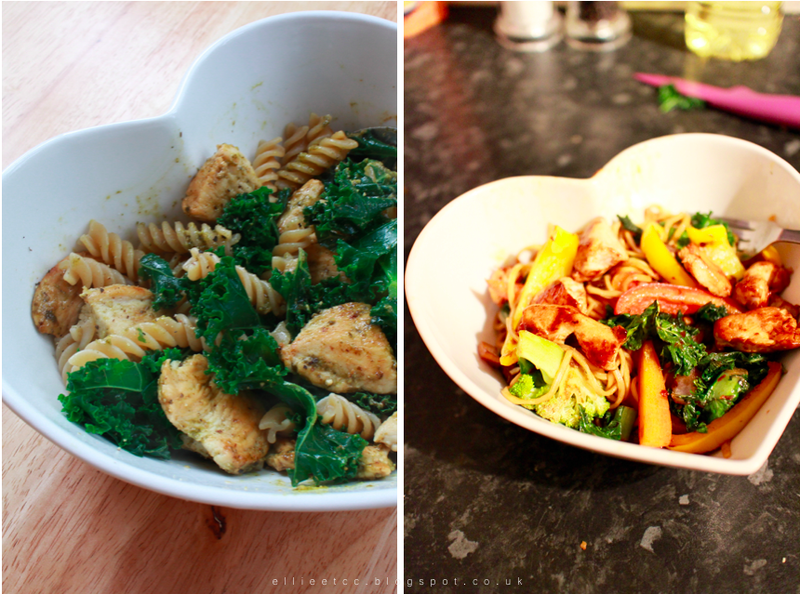 The picture above is pasta with chicken fried with pesto (another weird but good one) and of course some kale. Then below is a new discovery of mine. If you know me, you'll know that avocados are my favourite food. 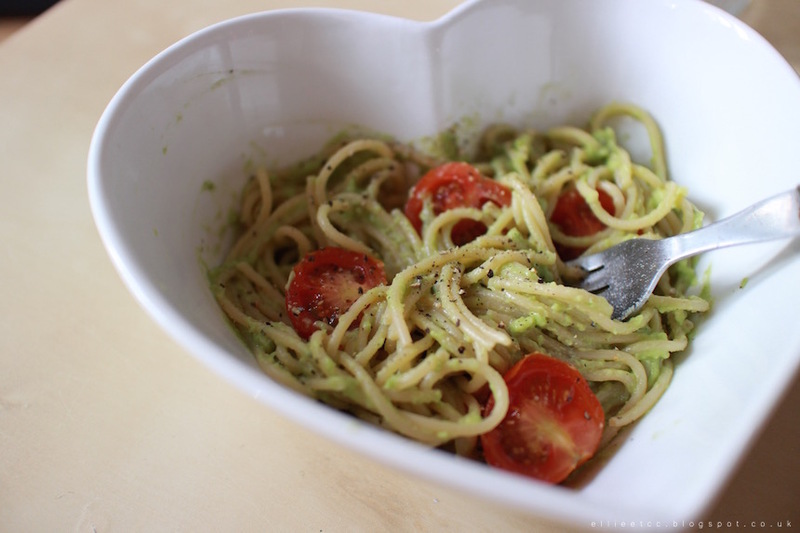 So when I found a recipe for pasta sauce with avocado and garlic I had to give it a try. It was so worth it. Okay I cheated a bit on these ones. I didn't aaactually make them. These are a speciality of a very kind housemate/friend of mine. 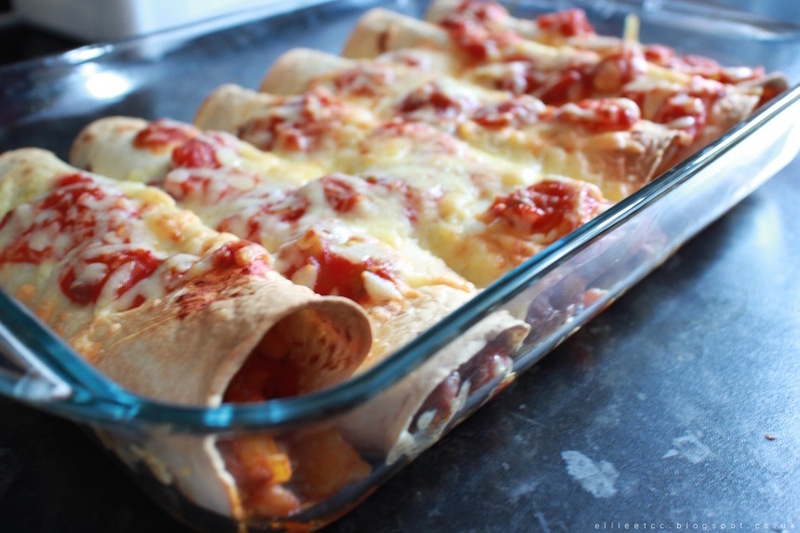 I adore Mexican food, and enchiladas are no exception. They're also so filling which is always a bonus. If you'd like me to do separate posts with full instructions/recipes/photos for any of the meals in this or the Breakfast/Brunch/Lunch edition, I would love to, please let me know!